After the excitement of the Saturday before last – giving my talk to a packed audience and seeing piles of people inside the gallery space – I wanted to walk around my exhibition on my own. So one day last week I slipped in and had a quiet stroll around the room with just a few other people around. 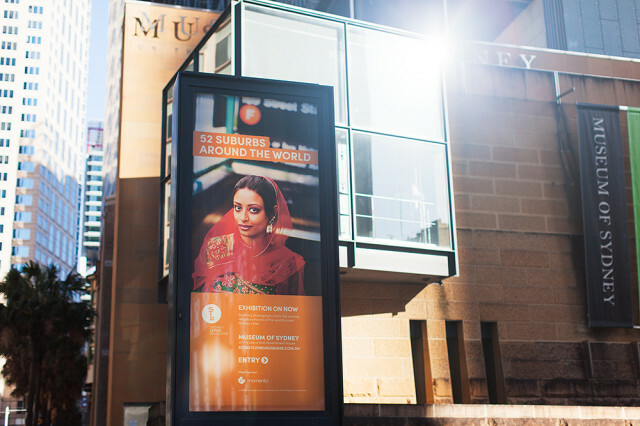 It’s completely surreal to see everyone we met and photographed around the world, up there on the walls – or in the case of Sultana (the Bangladeshi beauty from Jamaica, Queens, NY) standing proud outside the Museum of Sydney (the image below). I only wish I could let her, and everyone else in the exhibition, know. 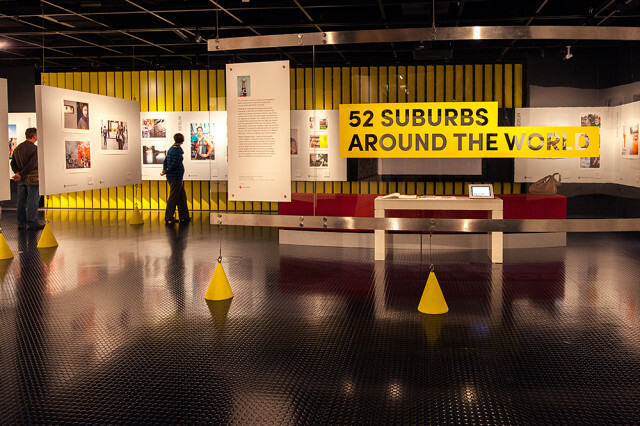 As with the first exhibition of my Sydney based project, there’s an extra AV component, showing another 100 or so images that aren’t on the wall with an accompanying voice-over, as well as some video I shot. You can just see it through the number 5 below. 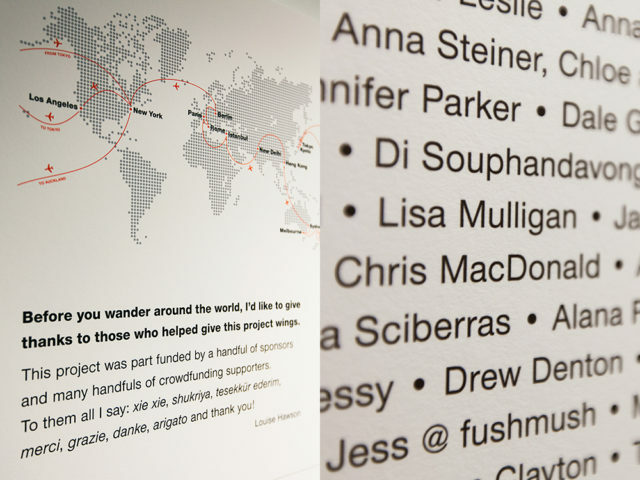 And attention all Kickstarter crowdfunding supporters – remember as part of your Reward, I said I’d include your names in the exhibition? 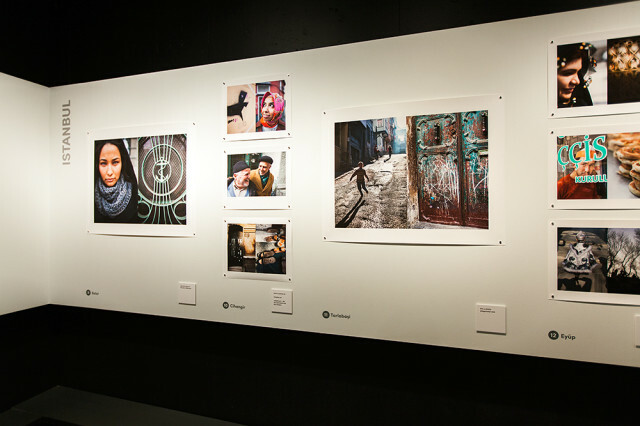 Well, here they are, in the panel below – the first thing people see before they take a walk around the gallery. By the way, I’ve had several emails asking me if prints are for sale. The answer is, yes, they are. I’m in the process of setting up an ordering system on the blog and hopefully it’ll be done within a week or so. If you can’t wait, please just email me directly and I’ll organise it. The choices will be – various sizes, printed on cotton rag (beautiful) or photographic paper, and framed or unframed. The book will also be available for pre-order on the blog too. Okay, that’s it for now. Speak soon. So exciting Louise. 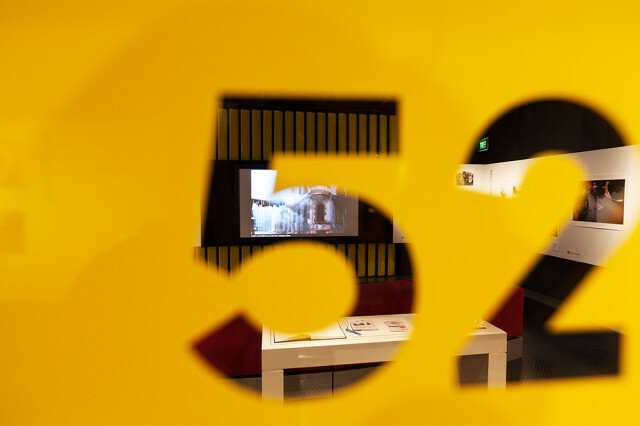 Wish I could see it in Sydney but perhaps you can organise a Melbourne exhibition next? Looking forward to the prints being available. Mmm, tour the tour – good idea! I know the MoS decided on magnets not pins to secure the prints on the wall so that it could be moved elsewhere so you never know. Glad you got to see your name in person. And walking around the gallery is like reliving the experience isn’t it? Given I’ve been focused on nothing else for the past few months – and have had cause to go through the project so many times, again and again – I feel like I’ve been whirling around the world countless times. Loved it but I need to stop! 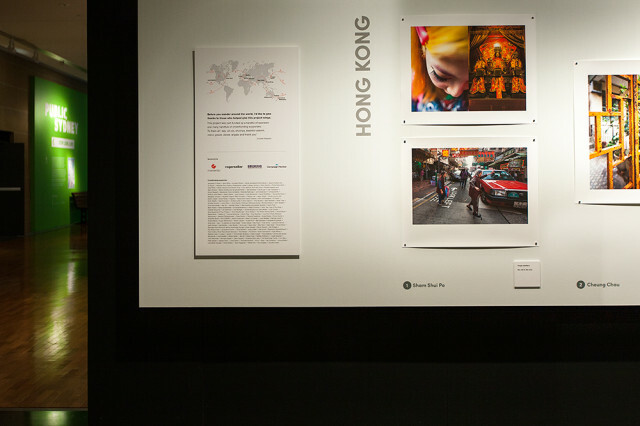 Yes great idea, take the exhibition to various cities around the world. I’m sure ther must be galleries, museums or art spaces which would be interested. I too agree with Amy, Please come to Melbourne, I am sure those lovely red heaeded twins would love to see there pic! I wish that I could see the exhibition it looks amazing. Congratulations on a wonderful project and thank you very much for the beautiful prints that you sent. I will treasure them. So happy you appreciate them so much Di. Looks amazing Louise, well done! Did you mention you had a video clip of your talk? Thanks Tanya! And yes, in the previous blog post, at the end, there’s a video of the whole talk. Oh Louise, I so wish I could have been there.. it looks amazing… London viewing perhaps?! I hope you do get the chance to see it – the images look soooo different at that scale. And the cotton rag paper they’re printed on is just lush. Wouldn’t that be cool? Who do I speak to? Who’s the Bringer-of-Exhibitions-to-NYC dude?! Exhibition looks just super! Wonderful presentation! take it to other capital cities in Australia etc. It would be great if we could tour the exhibition, I agree. And please check back in a little while Jackie for print ordering details. Please come to Melbourne. Also would have been a great stand at the Ballarat Photo Festival! Oh very good – and you’re in Germany right? Lovely to think of the book wending its way all over the world to land on peoples’ doorsteps.